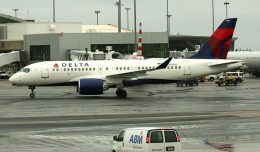 Delta Air Lines unveiled on Wednesday a $1.2 billion project to transfer its international operation to Terminal 4 at John F. Kennedy International Airport (JFK) in New York. The extension plan was approved by the New York government and the Port Authority of New York and New Jersey last week. 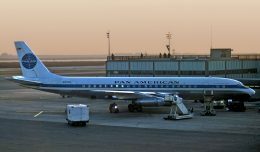 “John F. Kennedy Airport, one of the world’s busiest airports, will continue its transformation into one of the nation’s most state-of the-art airports with the approval of this plan and the construction of a new billion dollar extension to the international terminal,” said New York Gov. David Paterson. The project will create a state-of-the-art extension to Terminal 4, in order to improve, renovate and upgrade its services in order to cope with the increasing demands of air travel. Currently Delta operates out of Terminal 2 for domestic flights and Terminal 3 for international service. “This plan allows us to move forward with the enhancement of our JFK hub, one that will showcase modern, welcoming facilities and meet the needs of the world’s most competitive and largest aviation market,” said Delta Chief Executive Officer Richard Anderson. The expansion project will replace the outdated Terminal 3 for the benefit of the 11 million passengers the airline serves each year at JFK. The upgrades include dual taxiways, Delta’s inter-terminal passenger connectors between Terminals 2 and 4, nine new international gates for larger aircrafts and an expanded baggage claim area. 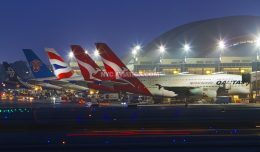 The construction work will begin in September and the completion of phase one, which is the relocation of Delta’s operations from Terminal 3 to 4, is scheduled to be ready in May 2013. The final part of the project will be the demolition of Terminal 3, expected for May 2015. 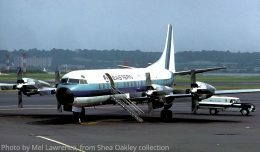 The site will then be used for aircraft parking. The project will have a significant impact on New York’s economy. 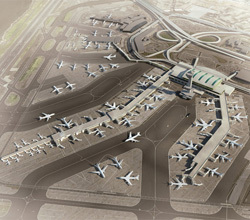 It is expected that the Terminal 4 expansion will create an additional 10,000 in N.Y. by 2014. Currently, Delta’s operations at JFK generate 49,000 jobs regionally. Over the next 60 months, the Terminal 4 project will generate $500 million of personal income and $1.6 billion of economic output from purchases of goods and services. “When completed, Delta’s New York operations will contribute more than $19 billion in New York State and the tri-state area. The new and improved terminal will further enhance New York’s status as a global destination and gateway to the United States,” Paterson added. 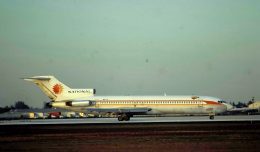 Terminal 4 is currently operated by JFKIAT LLC, which is a subsidiary of NV Luchthaven Schiphol, a Dutch company based in Amsterdam. JFKIAT is the only private, non-airline company to operate a terminal at JFK. Delta Air Lines serves over 160 million customers each year. The air carrier offers service to 367 destinations in 65 countries in 6 continents. It is headquartered in Atlanta, Georgia and employs more than 70,000 employees worldwide. It would be nice to tell us who deisgned the terminal. You cite the operator nad have a byline for the article's source. Why not acknowledge all the hard work that went into the deisgn effort with a simple acknowledgement? Unfortunately the press releases from both Delta and Mayor Bloomberg's office do not mention who designed it. It is a joint venture between SOM/ARUP. SOM providing architecture and ARUP engineering services. They are the original team who designed T4. What an improvement, an even longer walk from gate to terminal!